The rapidity of May is the speed of change that takes place as the region shifts from winter to summer. Events pile up on my camera. Here are a few of them. 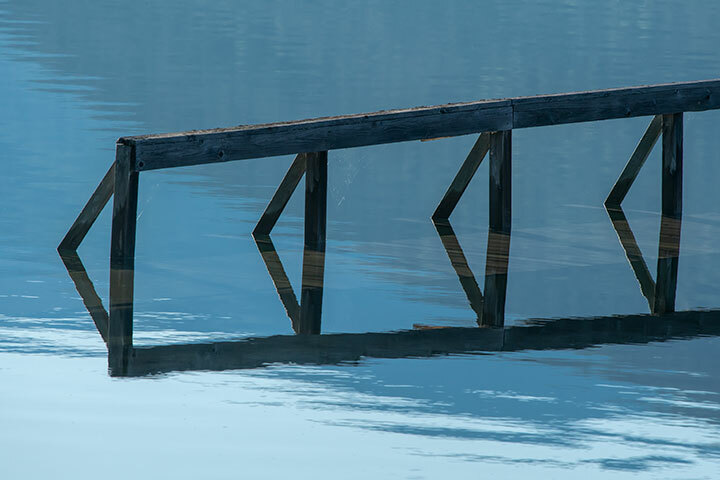 The rising waters of the Lake overflow a walkway. 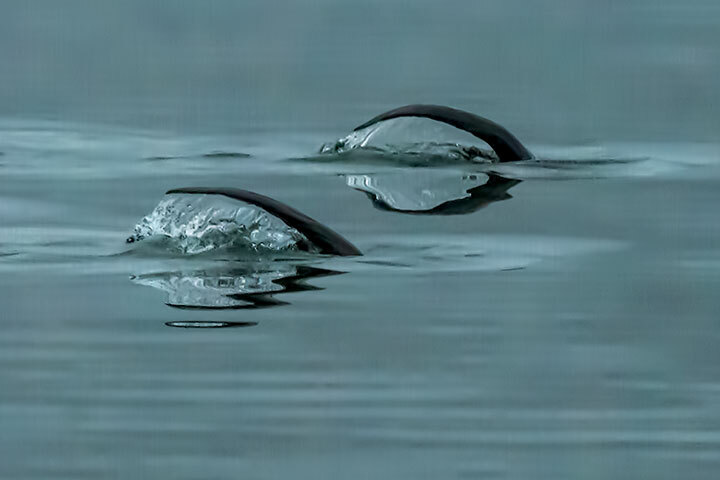 Otters dive, briefly leaving only their tails above the water. 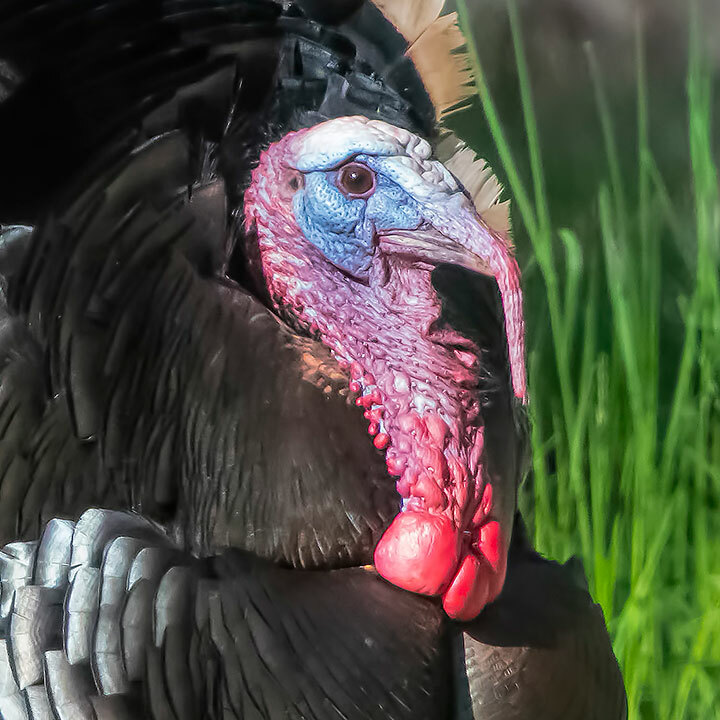 This Wild Turkey is ready for love and looking good. 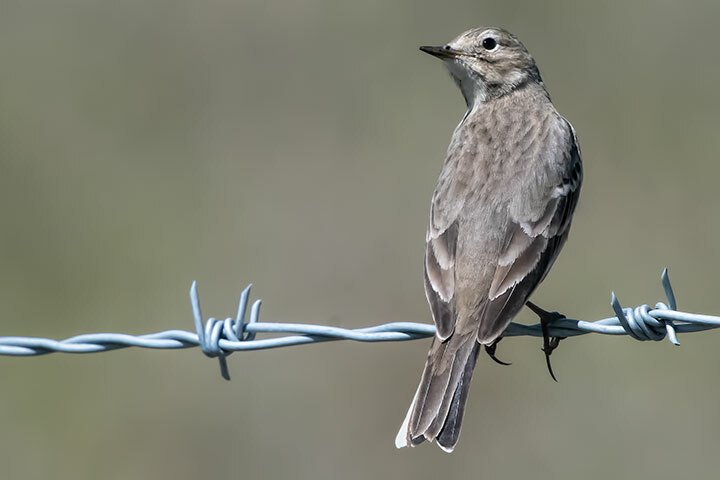 A pipit has migrated into the region. 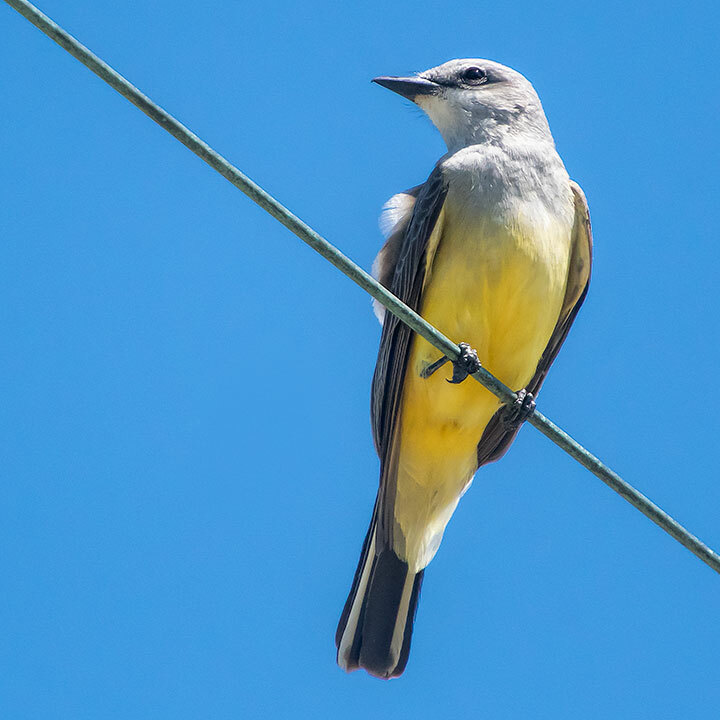 An Eastern Kingbird watches its insect-prey. 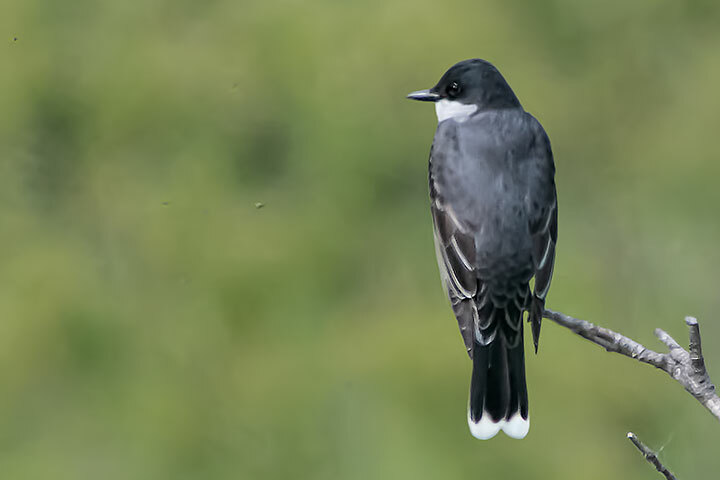 The Eastern Kingbird flies after an insect. 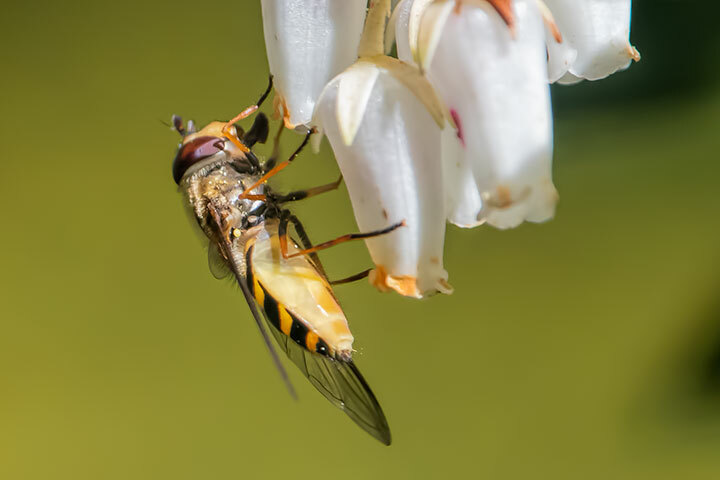 A Hover Fly visits a flower. 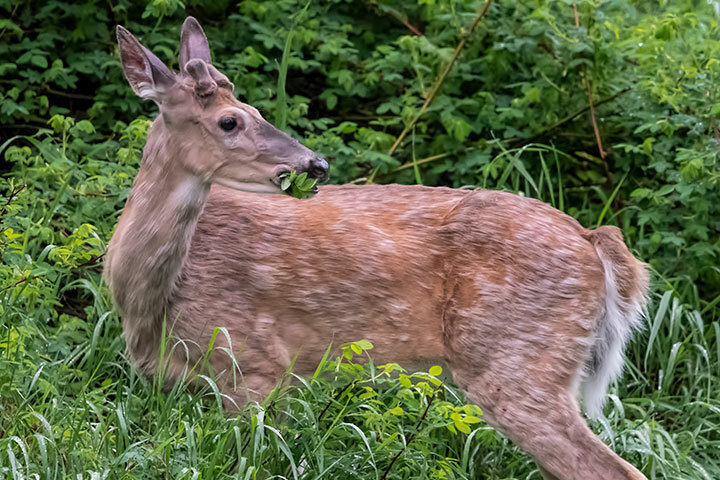 A browsing White-tailed Deer is in transition: starting its antlers; shedding its winter pelage. 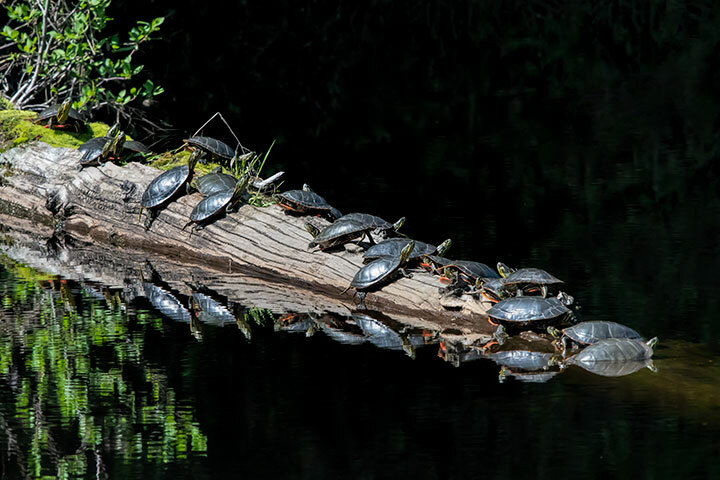 Painted Turtles on a loafing log are the picture of tranquility. 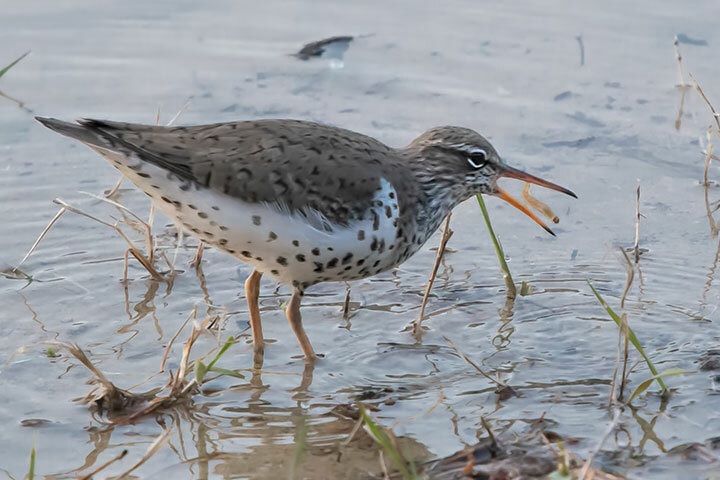 The Spotted Sandpiper is back and feeding on grubs along the shore. 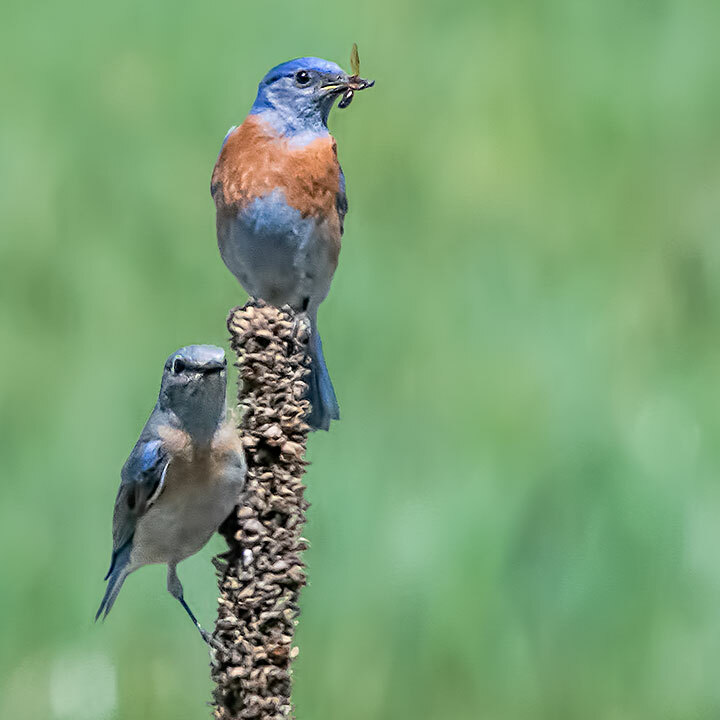 Western Bluebirds successfully hunt insects from a great mullein. 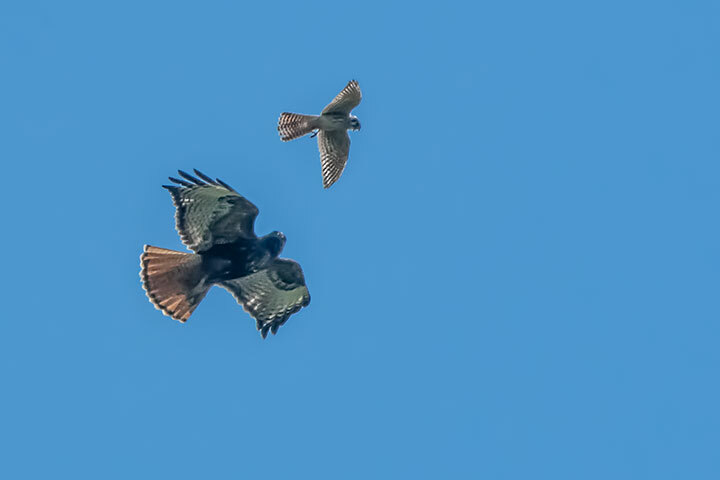 A female Kestrel harasses a Red-tailed Hawk. 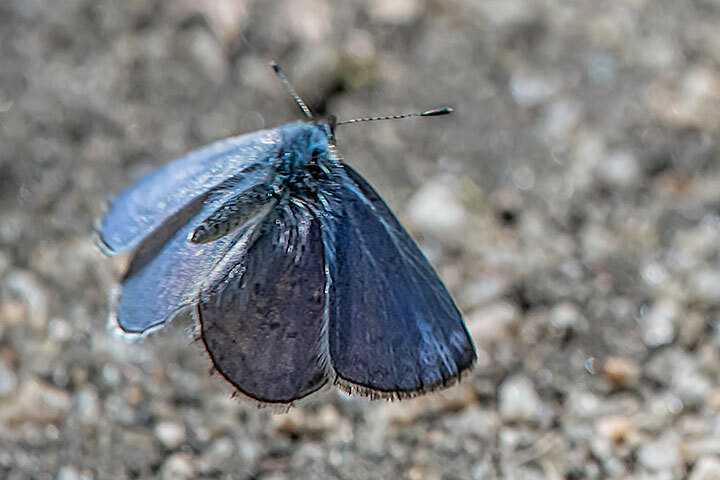 The Spring Azure only shows the blue of the wings when it is flying. 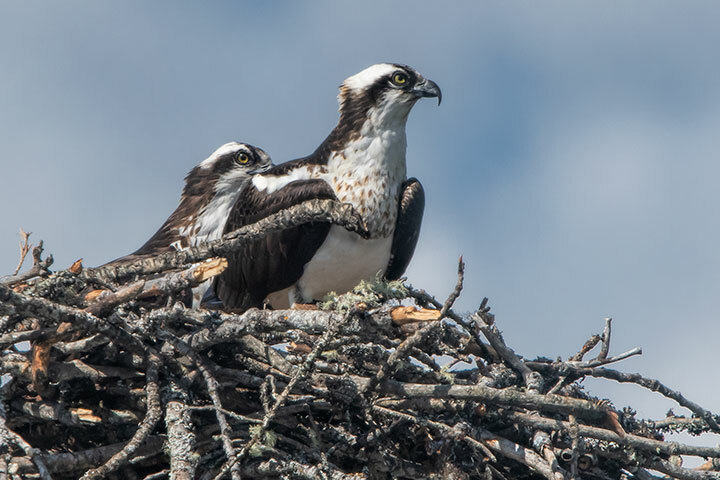 No treatment of May would be complete without mentioning the arrival of Osprey at local nests. This entry was posted in birds, bugs, herptiles, mammals. Bookmark the permalink. Wow, amazing! Thank you, Alistair. almost ate too much at this delicious buffet! 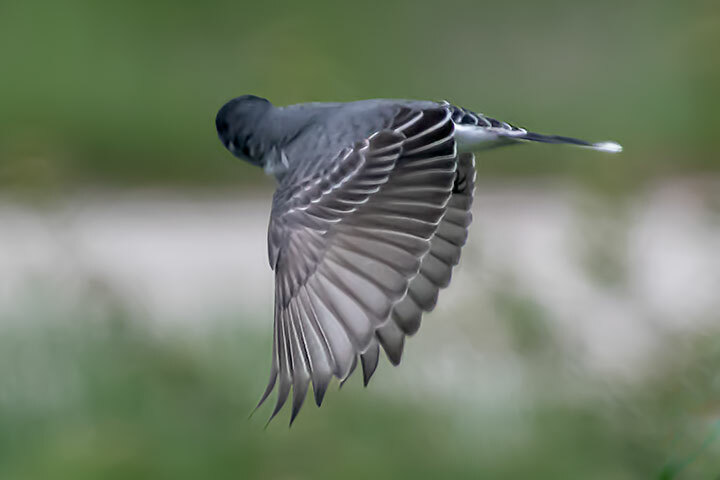 The fanned wing of the eastern kingbird is pure poetry. 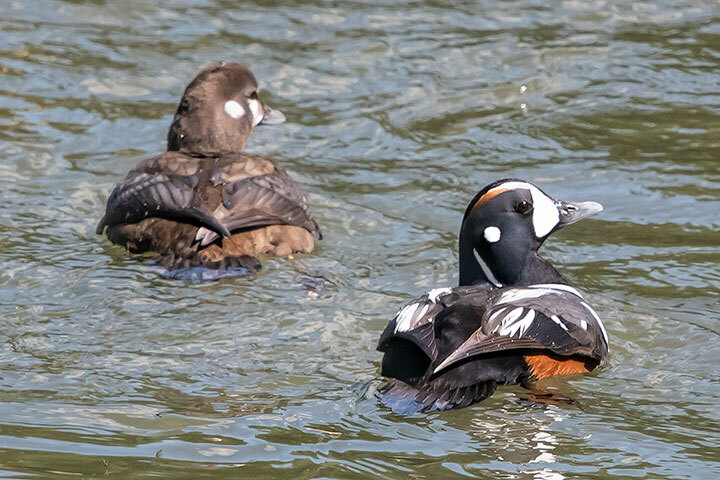 Such an array of spring wildlife…thanks so much for catching so many more than I’ve seen yet! What a marvellous collection . Thanks so much for sharing . Thanks for the banquet, Alistair! Beautiful photos — well done!